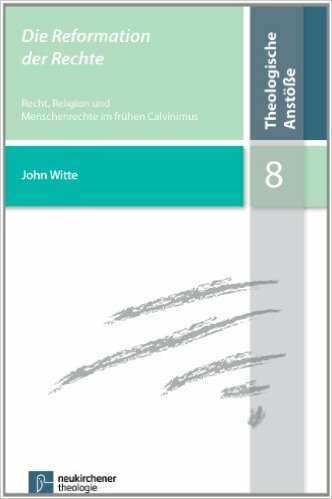 Book: The Reformation of Rights - John Witte, Jr.
John Calvin developed arresting new teachings on rights and liberties, church and state, and religion and politics that shaped the law of Protestant lands. Calvin's original teachings were periodically challenged by major crises - the French Wars of Religion, the Dutch Revolt, the English Civil War, American colonization, and the American Revolution. In each such crisis moment, a major Calvinist figure emerged - Theodore Beza, Johannes Althusius, John Milton, John Winthrop, John Adams, and others - who modernized Calvin's teachings and translated them into dramatic new legal and political reforms. This rendered early modern Calvinism one of the driving engines of Western constitutionalism. A number of basic Western laws on religious and political rights, social and confessional pluralism, federalism and constitutionalism, and more owe a great deal to this religious movement. This book is essential reading for scholars and students of history, law, religion, politics, ethics, human rights, and the Protestant Reformation. Concluding reflections: the biology and biography of liberty. "The Reformation of Rights will come as a revelatory jolt to those who embrace the standard history of natural rights as having been introduced into Western thought by the political philosophers of the Enlightenment. Witte argues that centuries before the Enlightenment, Calvinists were arguing for natural rights, especially natural religious rights: freedom of conscience, freedom of exercise, freedom of the church. 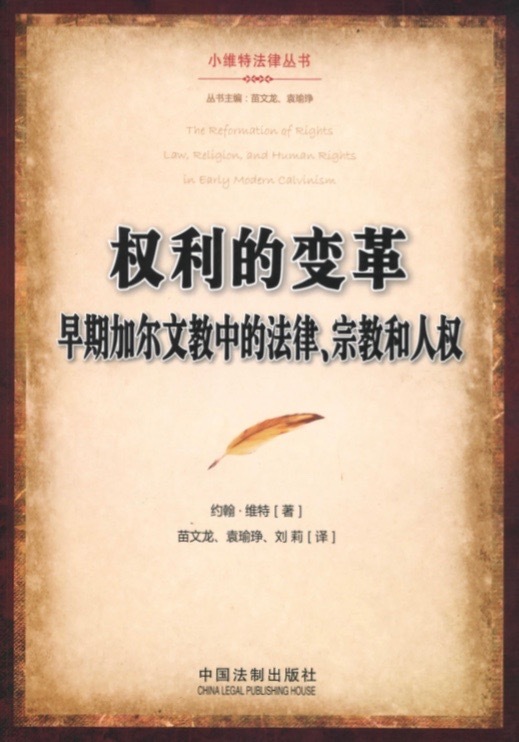 [His book] is a magisterial contribution to a new narrative of rights." "Historians, not to mention philosophers and theologians, have too long overlooked the Calvinist contribution to the human rights tradition. 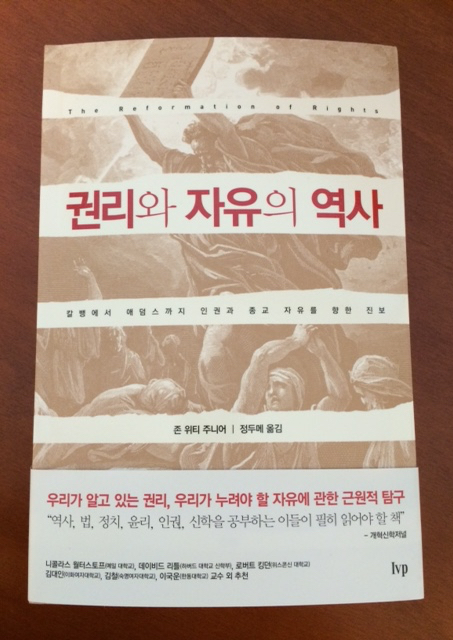 John Witte’s superlative study definitively corrects the shortcoming and thereby makes an indispensable contribution to our changing understanding of that tradition." 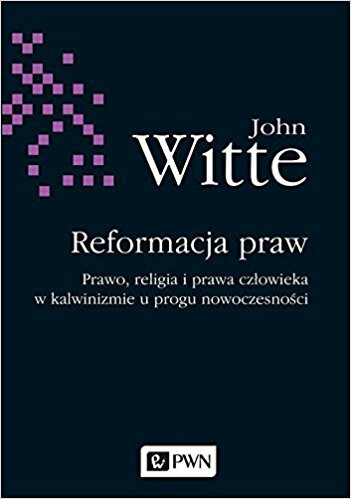 "John Witte has written an authoritative survey of ideas about law, religion and human rights as developed by John Calvin and his intellectual descendants in Europe and colonial America…These ideas are analyzed with all the clarity and bite one expects of a great historian of thought." 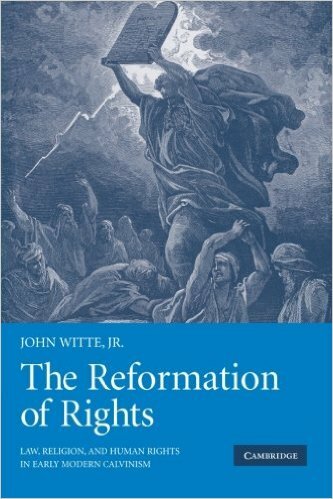 "John Witte's new book ... will be illuminating to intellectual historians and constitutionalists, but also accessible to educated readers with an interest in the relation of religious thought to ideas of freedom." "Altogether, this is an ambitious, sweeping, and synthetic undertaking.... Witte makes a strong case for the primacy of religious texts and traditions in the advance of human rights."